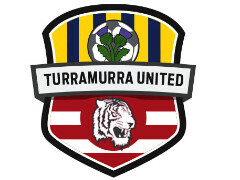 Turramurra Sports & Spinal Physiotherapy has evolved from Turramurra Manipulative Physiotherapy & Sports Injury Centre. The practice has been in its current Turramurra location since 1989 and also services the Warrawee, Wahroonga, Pymble, West Pymble and St. Ives areas. Since then it has become known as one of the leading providers of effective physiotherapy services in Sydney’s Upper North Shore. Our purpose is to provide all patients with effective pain relief while increasing their mobility and function. Our experienced team of physiotherapists are proud of their reputation for listening and understanding the specific needs of every patient. Our aim is to develop an individual treatment plan to suit your needs and priorities. Our team will carefully assess you to fully understand your condition and priorities. We work in co-ordination with your GP or specialist in order to facilitate your treatment. We have an established network of trusted gym, personal training, massage therapists and pilates providers.